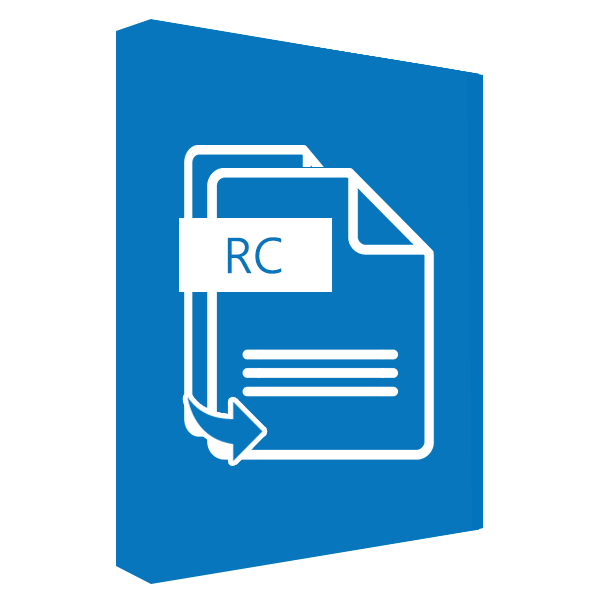 Record Cloning or Record Copying for Microsoft Dynamics CRM 2011/2013/2015 is one of the methods which can reduce the time spent on data entry, particularly if the data being entered is similar. Record Cloning or Record Copying allows you to create a duplicate record with the same values as the parent record. Cloning is one of the methods which can reduce the time spent on data entry, particularly if the data being entered is similar. The CRM Clone supports copying and cloning of Standard entities however, we can customize to support the copying and cloning of your custom entities. Click here to purchase the “customization service”. To clone notes and related entities kindly refer instructions in user-guide. We have also added the functionality of Multi-Cloning…now you can create multiple copies of a record with a single click!!! All add-ons offered by Work 365 come with one year of annual maintenance and support. Works great. We often have need to clone 5 or more records and this achieves it in seconds… Highly recommended! Exceptional service! Super easy deployment and very good control and performance of the utility. Makes me want to explore more of the add-ons as time allows. Very happy with this product, highly recommend. It has solved our sales guys problem of managing manual calendars to remember each and every client’s birthday or important anniversaries… it helps filter-out the contacts with Birthdays, month-wise or date-wise if the gifts have to be pre-planned ! What’s not to like? It works as indicated. Very flexible. I installed it and started using it… Beyond the quality of their product, Work 365 has some of the best customer service I’ve ever encountered. They are available, attentive, and will not hide behind emails. Awesome! Cloning functionality is something that you’d expect to be standard in CRM but that just isn’t! Our Quotes are quite huge, as we needed cloning desperately to duplicate our quotes… Work 365 Clone add-on came to our rescue… Great product and very reliable support – we have been using their Clone add-on for past 6 months… And we are happy that their latest version does not use Silverlight… highly recommended!!! The add-on was easy to install and setup. Response time of Work 365 support is great ! Now we no longer have to enter cases or update them manually – through this system, we can easily see the history of the case anytime. Cases sent to our support email address are registered in CRM automatically, including the customer contact and account, saving us a lot of manual efforts… Tracking of messages all in one place has improved our company process to a large extent ! This is a great system that I would recommend to anybody who values process. Great support, extremely reliable and quick to respond. We had a few questions at deployment, and immediately had a share session with their support team… I would recommend this product to any organization as it is a fair price and will really streamline information within your CRM system! I’m very happy with the “Report Scheduler Add-On” product produced by Work 365 for Dynamics CRM, it took me out of a bind and the installation and setup were both very straight forward. We use Email to Case Premium to support our service team with case management in Dynamics CRM. Our support team saves a lot of time since we don’t have to enter or update the cases manually anymore. It automatically sends an email to our support team which helps us in saving a lot of time. We’re very happy with their support team – their responses are quick and easy to understand! The add-on allows automatic generation of ids in a sequence that can be custom defined based on the business requirements. It even allows to update existing records in the system in the same sequence… It is value for money, with a lot of features that are not easily available in a similar package! The FREE TRIAL option makes the purchase easier. Cloning functionality is something that you’d expect to be standard in CRM but just isn’t! Our Quotes are quite huge,as we needed cloning desperately to duplicate our quotes… Work 365 Clone add-on came to our rescue…Great product and very reliable support – we have been using their Clone add-on for past 6 months… Happy that their latest version does not use Silverlight…highly recommended!!!! Finally, a solution for scheduling reports for a CRM 2011 Online implementation. We have been looking for some time (and even ‘hacked’ out a solution using workflows) but were difficult to maintain and impossible to deploy to anybody other than senior technical staff used to de-bugging code. We can now distribute views out on a variety of updates (opportunities, customer cases etc) for different audiences, different levels of interest / needs and all done automatically. So easy to set-up and deploy that we have already issued the instructions out to department heads / key staff so they can start producing their own scheduled reports, not having to wait for IT to set-up for them. Very impressed with the speed of development (already two versions on with new features being added all the time) and the close-contact with the commercial and support staff of Work 365 – my own issues and questioned answered very quickly and our ideas for future features taken seriously… Having the ability to trial the product gave us the confidence that we could install and deploy and get it working very quickly. Made the purchasing decision very easy in the end as we add an audience of supporting end-users loving the daily / weekly reports that were being delivered to them – no-one wanted these to stop so approval to spend was simple. 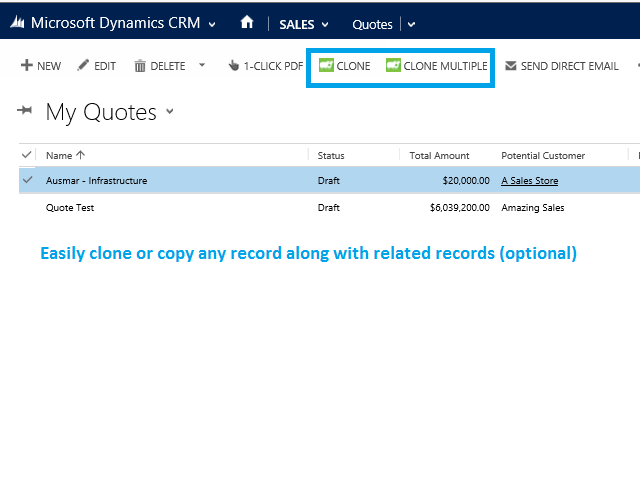 Great product for duplicating entries in CRM 2011. Easy to install and great staff to work with. Highly recommended. In addition to the outofbox-features Work 365 made a solution for a custom entitity and it works as expected.